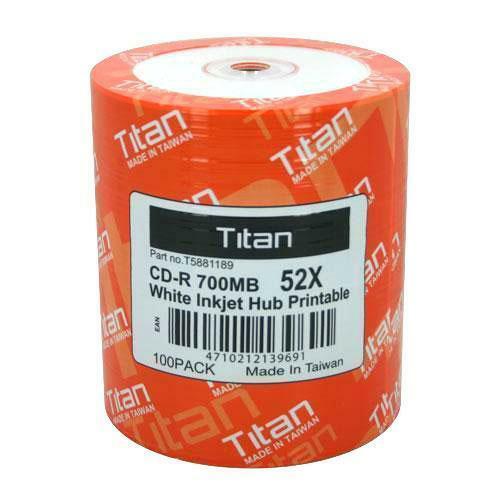 For all your entertainment needs, keep your digital files neatly stored on the Titan Duplication Grade 52x 80min/700mb White Inkjet Hub Printable CD-R . 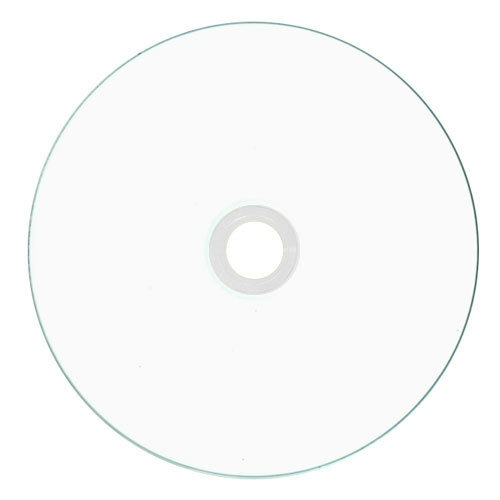 This Titan CD-R disc has a recording capacity of 80 minutes for all your favorite music, or up to 700MB of storage capacity for your files, documents and pictures. This CD-R disc runs at a writing speed of 52x, thus providing you high-performance results every time. 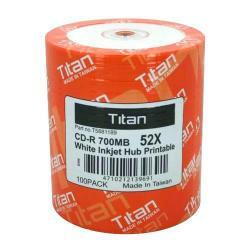 Organize your media today with the Titan 52x CD-R 700MB! An RMA will be issued if all return guidelines are met and just as long as the RMA Request is made within our return or warranty period for that specific item. Once an RMA number is issued, it will be valid for 30 days, within which time inkntech.com must receive the returned products. Please place the RMA number issued to you on ALL boxes containing the returned items. RMA numbers will not be extended, modified or reissued from their original request. For immediate customer service assistance with an order, please call 909-248-2725 Monday through Friday 9 am to 5 pm PST. A total of 1 reviews have been posted. They work fine. Burning time was fast. I'll buy these discs next time.